I find it really interesting that it was only the cloths covering the Saviour’s head that had been folded neatly. He was happy to leave the fabric covering His body where it was, but took especial care with those that had covered His head. There must be a reason for that. And the fact that the apostle John specifically references this is unlikely to be accidental. What was so special about the head cloths? What should we learn from it? In pointing out the exceptional status of the cloths that had been covering the Saviour’s head, John points my mind to the covering of heads with cloth more generally. And in this my thoughts turn to the wearing of a veil. Now, you might suddenly be thinking this is all going a bit weird because only women wore veils anciently and what does all of this have to do with the sacrament anyway. But please bear with me. Hmm. Moses is wearing a veil. Maybe that teaches us something about veils and what they represent. Here we have the prophet Moses, representing God, needing to veil his face because of the glory shining from him. The Lord’s people couldn’t bear His glory, and so a veil needed to be used. This is a fantastic representation of our own standing before the Lord. How much can we bear to know? God will only show us as much as we can stand. The rest will be hidden – veiled – until we grow more spiritually. 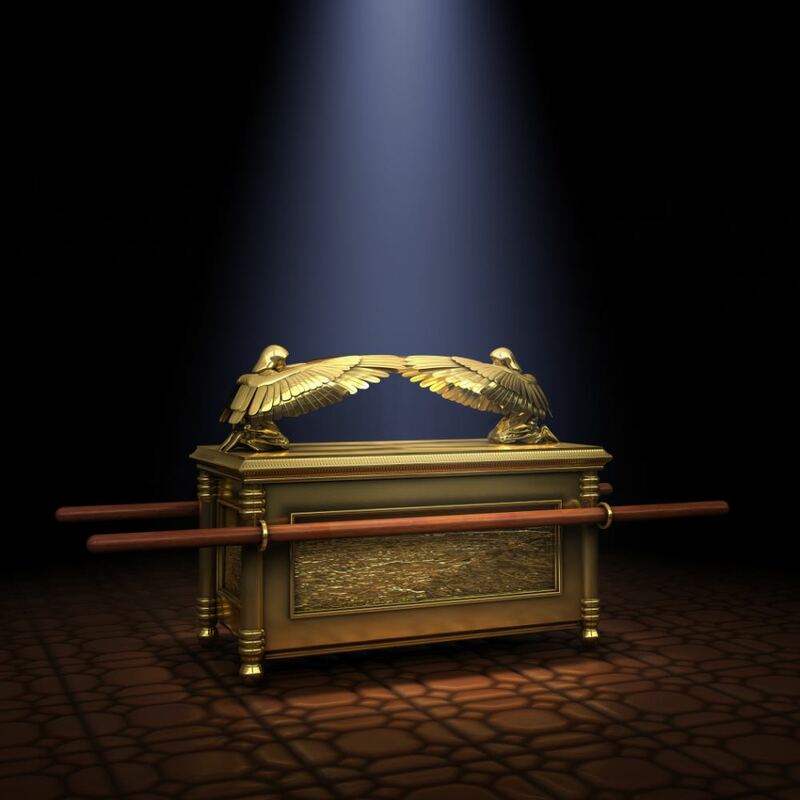 Later, a veil is used in the tabernacle (and later temple) to cover the Holy of Holies in which lay the ark of the covenant. The use of veils continues today in LDS temples. The day will come when “all flesh shall see”, but until then a veil will continue to hide Him from the world in general. In a great foreshadowing of that event, the Book of Mormon tells of three days when “darkness [covered] the face of the whole earth”. This covering of darkness was removed as Christ rose from the dead in Jerusalem, and He later appeared among them, the veil for them rent. (see Helaman 14:27, 3 Nephi 8-11). And that, I believe, is what happened when Christ neatly placed the cloths that had covered his head in the tomb. He had previously been completely hidden by the linen clothes – just as the sacrament is completely hidden under the white cloth. That He was now uncovered, more specifically that his face was now unveiled, was a matter of deep import as the neatly folded napkins show. And just as the bread and water are in turn revealed to a Sunday congregation today when the pressed sacrament cloth is lifted, so too His face had been unveiled when He rose from the dead – the glorious results the Atonement revealed. His triumph was complete. His glory assured. The power of His atoning sacrifice everlastingly sure. Thus we can look to Him, the tokens in His hands and feet reminders of His sacrifice and victory. In Jerusalem, the Americas, and probably elsewhere, thousands saw Him in His glory, the veil cast aside. As I discussed in the last post, the sacrament cloth – the covering of the Saviour’s tokens of bread and water – hides the very emblems of His grace until the moment they are needed. Until He decides we need them. In the ordinance of the sacrament, that moment is when the Priests are about to offer the prayers. In our daily lives, it can be at any time, in any circumstance. If we seek Him in our hour of need, He will come. The “pressed” cloth covering the sacrament thus reminds me of the neatly folded napkins that had covered the Saviour in the tomb, removed from his head only when the Atonement was complete, death’s bands broken, His victory over death and hell unveiled just as the bread and water are unveiled in the sacrament. And as the covering of His atoning emblems are removed for us in the ordinance of the sacrament, a beautiful covering can come upon us: we can be covered by His grace. It’s such a simple thing, a cloth. White, clean, non-transparent, and pressed. Uncovering first bread, and then water. Yet it carries such meaning with it. The Lord’s timing (our Fourth Watch), our faith, coverings and veils, the Saviour’s power, redemption from death and sin, our becoming His people. First hidden, then revealed to those who believe on Him. In the next post, I’ll talk about the role of the Priests in the sacrament, and what they teach me.